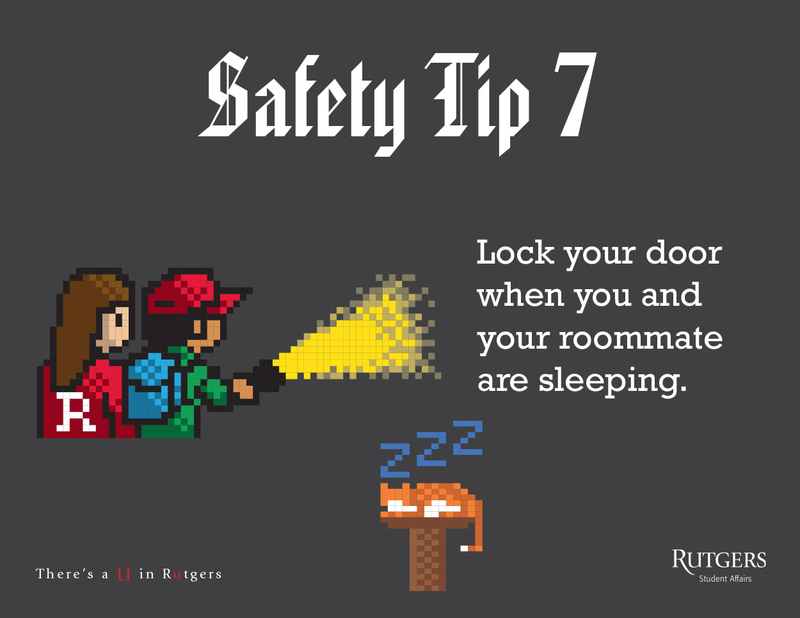 An unlocked door is an invitation for someone to steal your belongings. 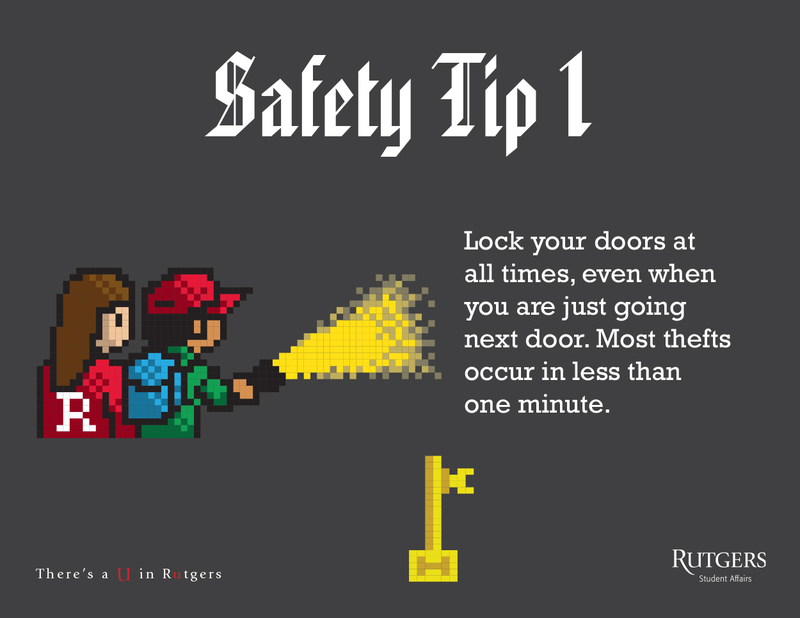 An unlocked door means your TV, laptop, game console, jewelry, cash, textbooks and other valuables could be taken. Lock your doors at all times, even when you are just going next door. Most thefts occur in less than one minute. 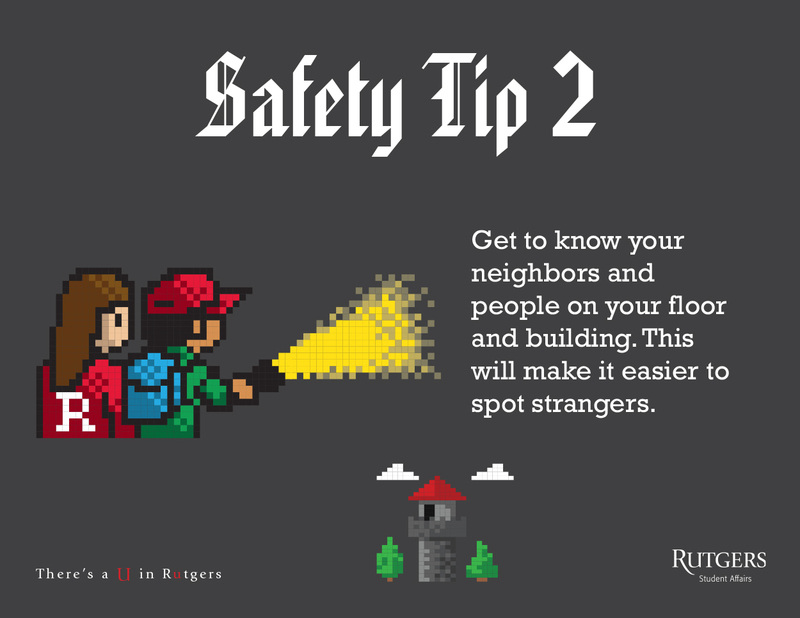 Get to know your neighbors and people on your floor and building. This will make it easier to spot strangers. Take precautions when walking alone on campus, especially at night. 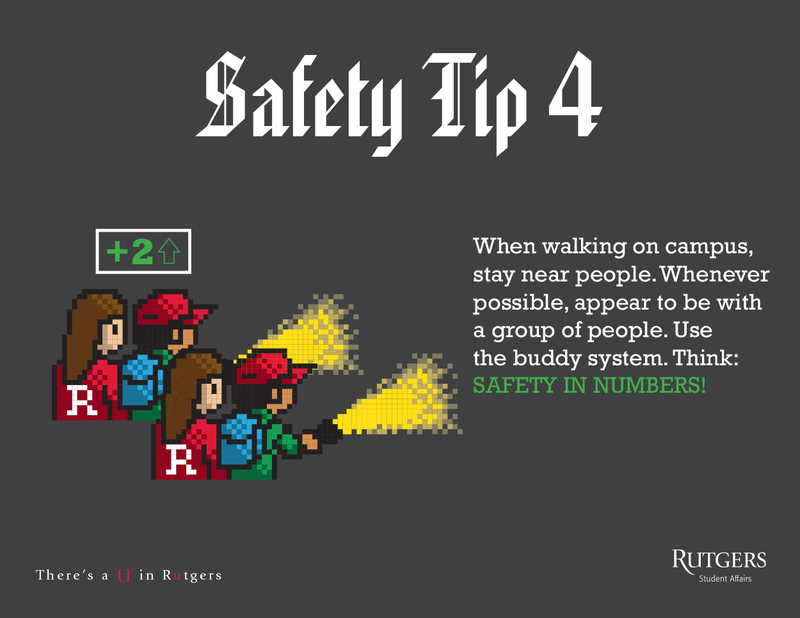 When walking on campus, stay near people. 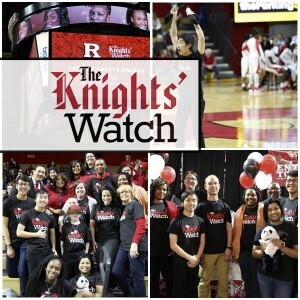 Whenever possible, appear to be with a group of people. Use the buddy system. Think: Safety in numbers! 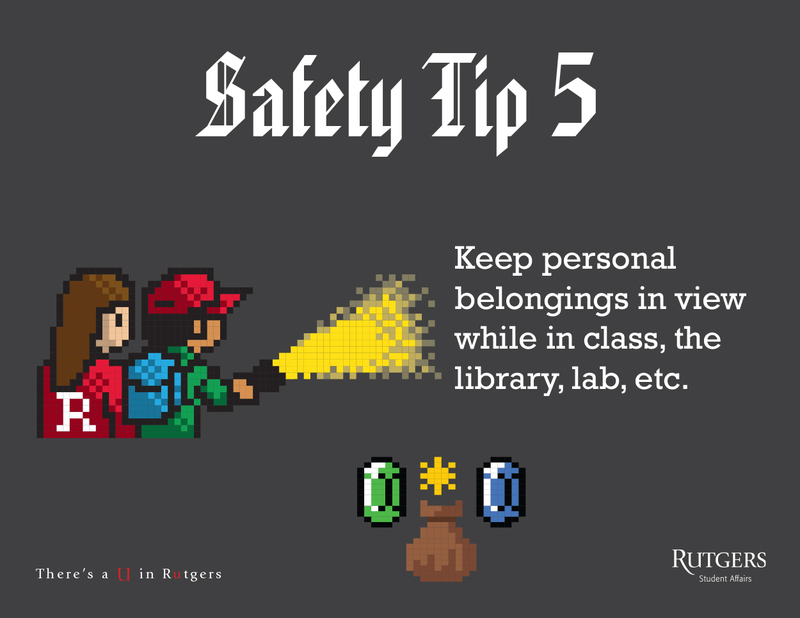 Keep personal belongings in view while in class, the library, labs, etc. Do not prop any exterior residence hall doors. 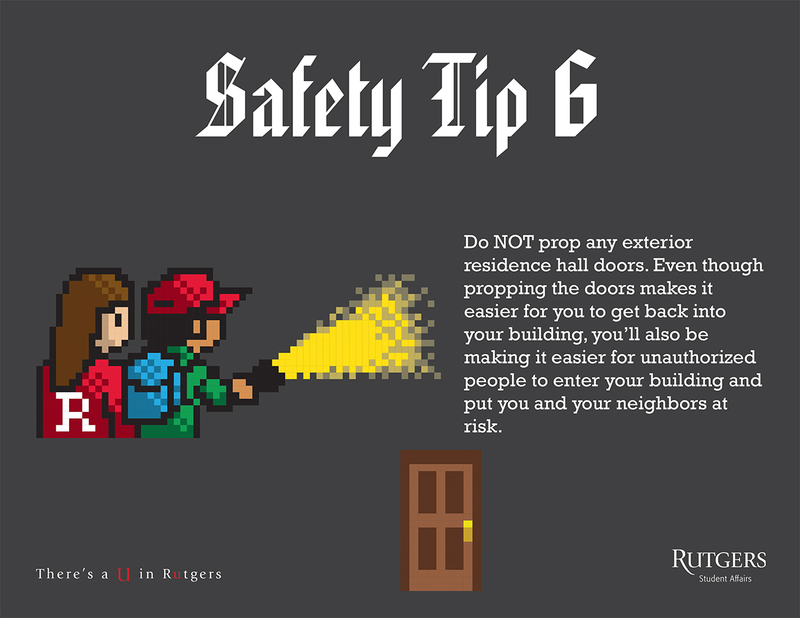 Even though propping the doors makes it easier for you to get back into your building, you’ll also be making it easier for unauthorized people to enter your building and put you and your neighbors at risk. 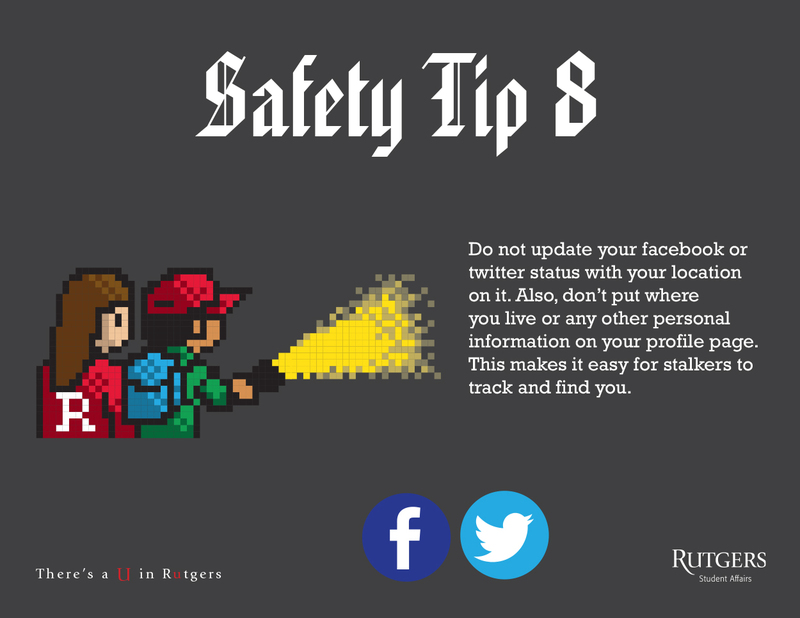 Do not update your facebook or twitter status with your location on it. Also, don’t put where you live or any other personal information on your profile page. This makes it easy for stalkers to track and find you. 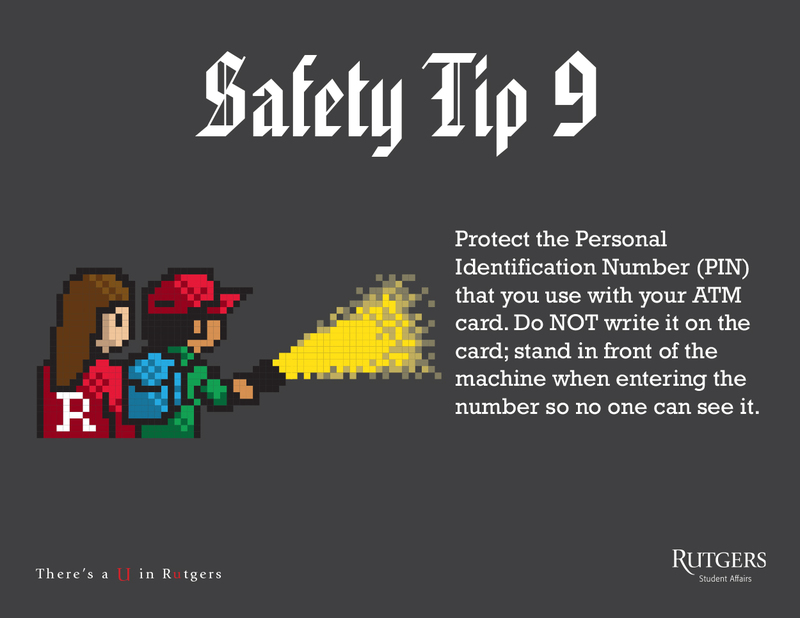 Protect the Personal Identification Number (PIN) that you use with your ATM card. Do not write it on the card; stand in front of the machine when entering the number so no one can see it. Kow what the scams are, and don’t respond to them. 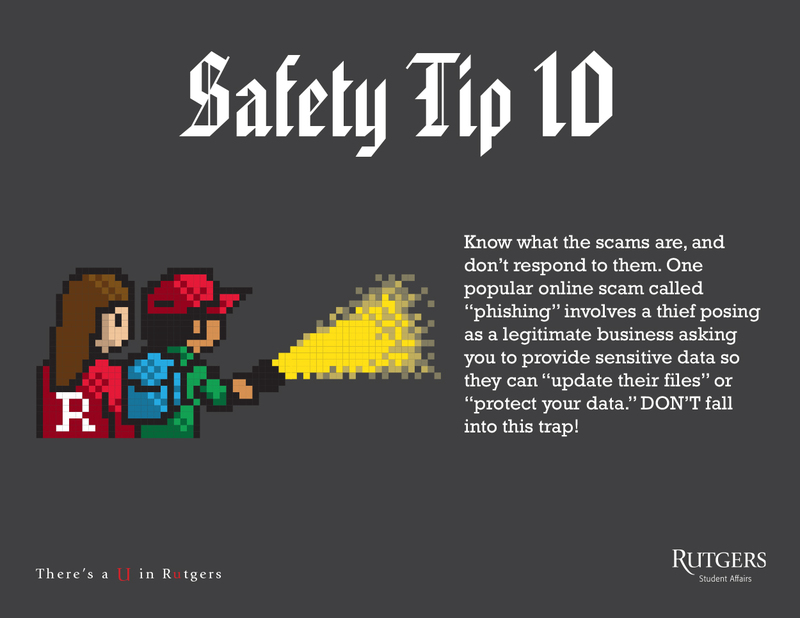 One popular online scam called “phishing” involves a thief posing as a legitimate business asking you to provide sensitive data so they can “update their files” or “protect your data.” Don’t fall into this trap! 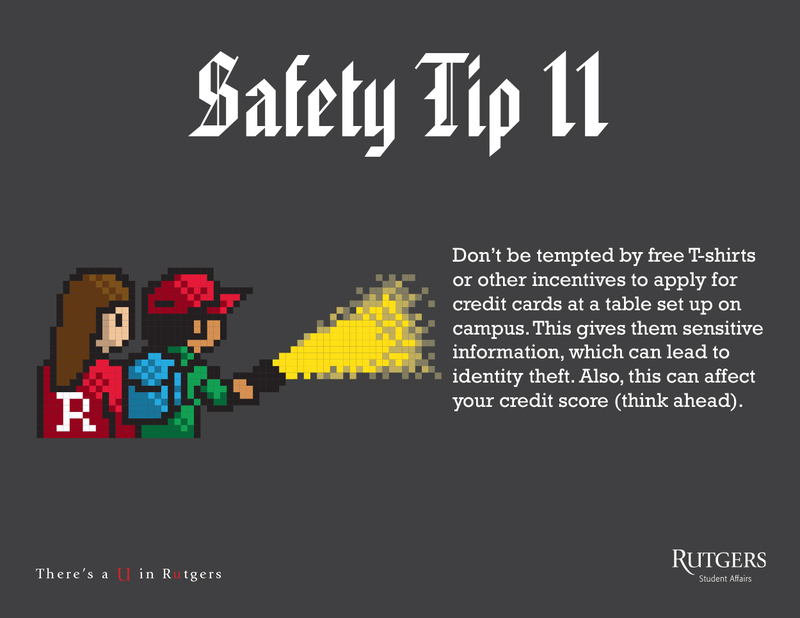 Don’t be tempted by free T-shirts or other incentives to apply for credit cards at a table set up on campus. This gives them sensitive information, which can lead to identity theft. Also, this can affect your credit score, so think ahead.